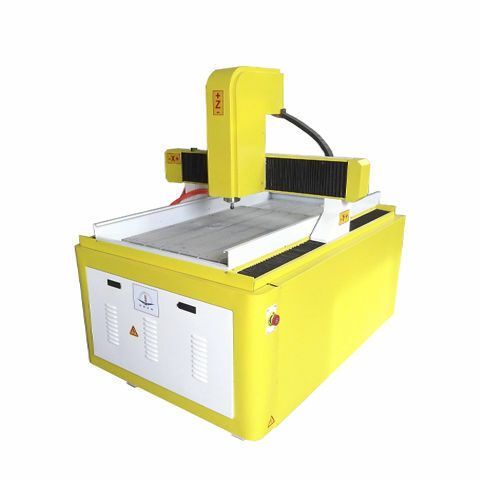 CNC router / 3-axis / 1-spindle / for marble - NC-M6090 - Jinan Nice-Cut Mechanical Equipment Co., Ltd.
Machine-tools > Machining Center > CNC router > Jinan Nice-Cut Mechanical Equipment Co., Ltd. Stand: Jinan Nice-Cut Mechanical Equipment Co., Ltd.
NC-M6090 Jinan Nice-Cut Mechanical Equipment Co., Ltd.
1.All machine cast iron more stable . 2.Advanced ball screw transmission moving faster than others . 3.Square rail on Y axis performance stable . 4.stepper motor and drivers long use life. 5.High quality 1.5kw water cooling spindle and 1.5kw inverter . 6.PVC Plateform with water channel special for granite engraving . 8.tools special for marble engraving .